Dr. Lanham is committed to community outreach and education and routinely give presentations at community organizations and schools. Please contact us if you are interested in arranging a speaking engagement for your organization. In addition, Dr. Lanham develops workshops for the continuing education of psychologists and allied mental health professionals. Below is an abbreviated listing of some resent professional workshops and presentations for the public. Richard A. Lanham Jr., Ph.D.
Richard Lanham, Jr., Ph.D. Lorrie Ness, Ph.D. Designed for psychologists with intermediate level knowledge of AD/HD and associated treatments. This workshop will provide a review of the research investigating evidenced based treatment for AD/HD. Factors that cause many research samples to differ from the typical client presenting for treatment in clinical practice will be discussed. This workshop will address ways in which clinicians can conceptualize AD/HD as a complex disorder, with each unique case being evaluated for associated executive dysfunction, problems with emotional adjustment, disruptive behavior, social skills deficits and parental discord. Understanding that empirically supported treatments rarely address each of these issues in tandem and often exclude participants with difficulties in multiple domains, the presenters will outline ways in which scientifically-guided treatment can be flexibly applied to individuals so as to provide timely and effective treatment in a more holistic manner. Case examples will be provided. This seminar is designed for students and faculty of the Johns Hopkins University School of Medicine. Approaching Assessment with a Neuropsycholgoical Frame of Mind. R. Patrick Savage Jr., Ph.D. Richard A. Lanham Jr., Ph.D. Designed for intermediate to advanced clinicians who either provide psychological assessments or who consume and use the results of psychological assessment in their day to day work with clients/patients. The workshop is designed to provide the practicing clinician – assessor or therapist -with an understanding of a conceptual framework, based in sound neuropsychological principles that can be utilized to understand the cognitive and emotional profile of children and adolescents presenting for assessment and/or therapy. While many principles will apply to the entire age range of children, this workshop will focus upon those ages 6-18. For the assessor, an approach will be presented that allows one to use commonly accepted testing instruments and procedures to better understand how an individual’s brain is processing information and the implications of this understanding to support the individual’s cognitive, emotional, and interpersonal development. Many of the principles and concepts to be reviewed represent good standards of assessment embedded in an understanding of brain-behavior relationships. Information will be provided to assist in understanding test selection in order to create an assessment battery that provides a clear and comprehensive understanding of the individual. The process of assessment will be discussed along with strategies to help the clinician get the most from the evaluation. This in-service training is designed for the treating staff of Johns Hopkins Bayview Medical Center’s Community Psychiatry’s Chile and Adolescent Services. The in-service is designed to provide staff with increased knowledge and understanding of Attention Deficit Hyperactivity Disorder and related disorders of Executive Function and how these conditions manifest in children and adolescents. Particular focus will be given to the challenges impairments in attention, information process, and executive functions – especially with regards to the areas of self-monitoring, emotional regulation, and behavioral control – present for participation in organized day treatment programs and discharge planning. Staff is encouraged to bring in clinical examples for analysis and discussion in light of presented material. Understanding the Social and Emotional Challenges of AD/HD and Other Disorders of Executive Functioning. The social and emotional challenges of Attention Deficit/Hyperactivity Disorder and other disorders of executive functioning are often viewed as frequently difficult to understand and, as a result, difficult to address. A broader, more integrated understanding of executive functioning, and more generally the brain-behavior relationships of weaknesses in frontal lobe function – which disorders of executive functioning represent, can greatly assist in a more accurate understanding of the difficulties these individuals experience on a daily basis. This presentation will address the social and emotional needs of bright children and young adults who perceive their social and emotional worlds in unique ways, resulting in actions that are, at times, confusing to those around them. Illustrative case examples, some from the presenter’s over 15 years of work with traumatic brain injury (learning from extreme demonstrations of more subtle difficulties in executive functioning) will be used as a launching pad for participant interaction. Participants will gain a broader, more integrated understanding of how weakened executive skills, which are indicative of dysfunction in prefrontal/frontal brain regions, impact not just cognitive performance, but in direct and indirect and often subtle ways, an individual’s social and emotional life that, in turn, further negatively impact cognitive performance at school and in the work place. Participants will be made aware of how errors of internal attribution can lead to less-than-effective responses/interventions due to faulty cause-effect assumptions. Invited Three-Day Workshop, The Ocean City Institute (OCI), Maryland Psychological Association/ Maryland Psychological Foundation, Ocean City, Maryland. This intermediate to advanced level workshop will focus on participants developing an organized understanding and approach to the treatment of the spectrum of complex disorders currently referred to as attention deficit/hyperactivity disorder (AD/HD). From the present is grounded in the different presentations of his neurobiological syndrome amongst individuals as well as at the stages of individual’s development. Attention will be given to the heterogeneity of the diagnostic category and the implications for her to start doing you a/client and hence treatment. It is assumed that participants will have a basic understanding of ADHD: diagnostic concerns, since these issues will be interviewed in this workshop. A conceptual of ADHD, grounded in an understanding of the executive function system, will be presented that guides the designing of strategies for intervention. The varied roles the therapist assumes during the course of treatment, in addition to the more traditional role of psychotherapist are discussed in detail. 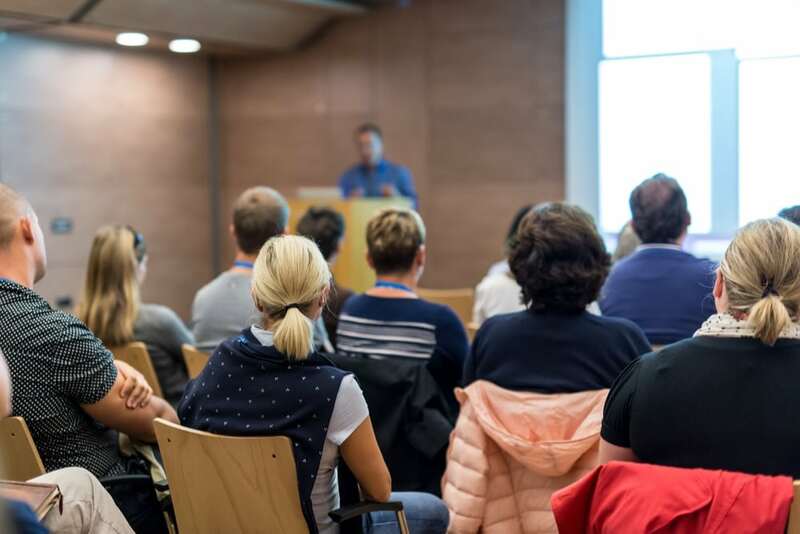 Clinical cases from the presenters’ combined 40+ years of experience in evaluating and treating individuals, couples, and families with neurobiological, psychological, and emotional challenges will be used to illustrate points throughout the presentation. Participants are encouraged to bring in cases for review by the presenters and those attending. Invited All Day Workshop, 2005 Maryland Psychological Association Convention, Towson, MD.